Many gracious old Beaune houses and mansions have been converted to atmospheric inns and deluxe boutique hotels. On the outskirts, modern chain hotels are thrifty. A ring road circles historic Beaune, changing its boulevard names as it goes (Clemenceau, Maréchal Joffre, Jules Ferry, Saint-Jacques). If your Beaune hotel is located within this circle, everything in the historic center is within easy walking distance. In general, these hotels and inns right in the historic center have more character, charm and convenience, and rates to match these qualities. 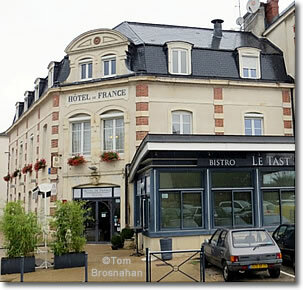 Beaune's modern chain hotels—Ibis, Campanile, Mercure, and a number of local establishments, etc.—are on the highways and the approach roads to the town, good if you have your own car. the Gare de Beaune SNCF.